MODEL-VAC ® is the perfect strength for picking up loose landscaping material but still leaves glued items behind. 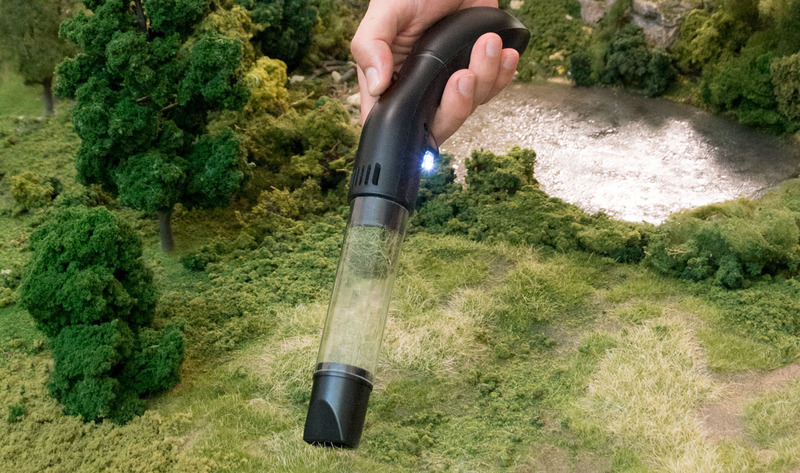 This cordless modeling vacuum features an ergonomic design and can access small areas. The Model-Vac is easy to empty and does not cause damage to excess material so it can be used again. (9V Battery not included).